20 years of experience, 20 years of expertise. 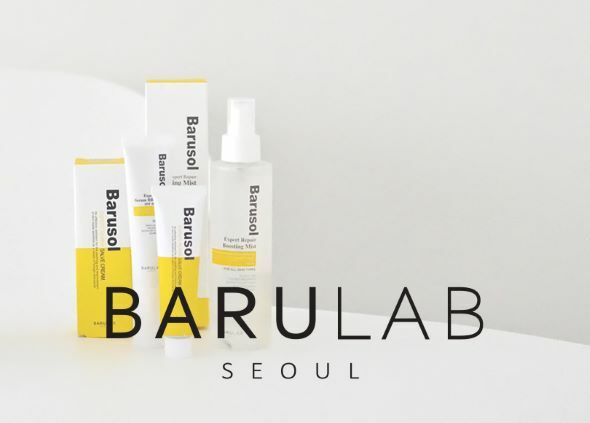 The story of BARULAB’s products is one centered in our deep care for and dedication to our customers. 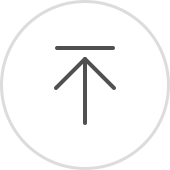 on an average of 900 customers per month, totaling over 100.000 customers over 17 years. 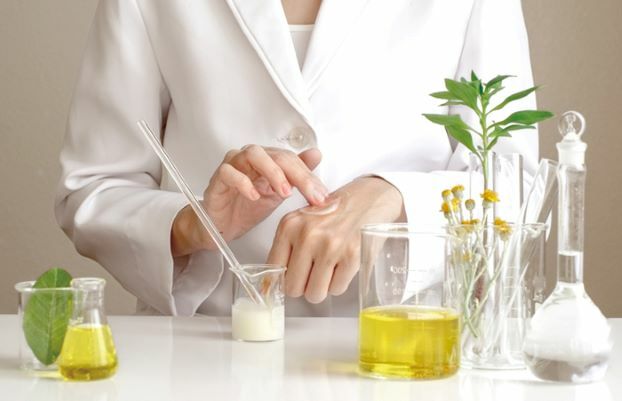 There is nothing experimental about our products – we know it works. Clinically designed to protect & repair. 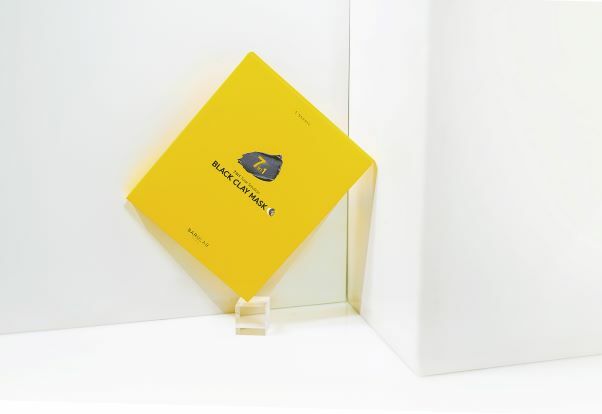 Our BARUSOL line is clinically designed to repair and protect the skin. The products use zero EWG Caution Ingredients and zero fragrances. are compatible even with very sensitive skin. Start fresh with a clean skin canvas. breakouts and clogging of the pores, and skin subjected to city life can seem dull and lifeless. all that dirt prevents the nourishing benefits from effectively penetrating the skin! to get the best results from your skincare routine. which has become a best-selling item in China and Korea. and is the first step towards returning liveliness and brightness to your skin! 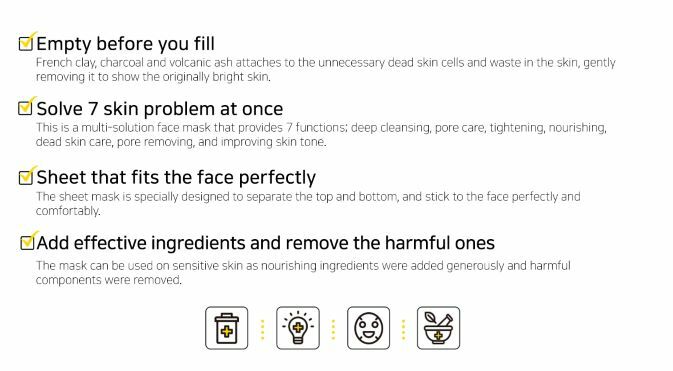 and impurities this is the product for you! to remove impurities while nourishing the skin! The mask gently removes impurities leaving you with a refreshed, bright complexion. The special formulation also gives a lifting effect to your face! You’ll notice the difference immediately after use. for smoother applicability and better fit regardless of facial size. 1. Prep your face with toner before applying the mask. and applying the mask to your skin. 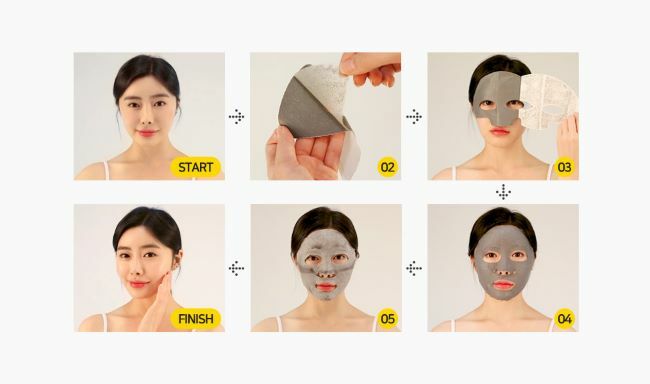 and gently press the mask against your skin. such as the nose to ensure full coverage. Repeat the steps with the bottom half of the mask. or until it is dry and stiff. the center until the mask is completely removed. gently cleanse your face with water.